We go from physics to chemistry when we encounter complex arrangements of large number of atoms/molecules. Complex chemistry in living systems is then described in terms of biology. Complex (neuro-) biology in human brains finally gives raise to the field of psychology. Of course, the world is not discrete and the transitions between the fields are fuzzy (think about the chemistry-biology shoreline of bio-macromolecules and cytology). And yes, the (mostly infertile) philosophical wars on the ontology of emergence are still being waged. Yet, nobody would deny the epistemic usefulness of higher level descriptions. Every transition to higher order description brings its own ‘language’ describing the object as well as a suite of research methods. Recently however, we are more and more tapping into the “psychology” of the neural networks. The deep architectures that are now in use aren’t reaching anywhere near the complexity of human brains, yet. However, with connections in the billions (here is an early example), they are too complex, too opaque, for a low-level description to be sufficient for their understanding. This lead to a steady influx of research strategies, that shift the approach from the bottom-up understanding of “machine biology” to a more top-down, “input-output”, strategy typical for psychology. Of course, neural networks are commonly, though not quite deservedly, described as “black boxes”. 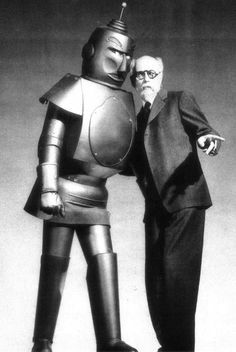 And historically, parts of psychology had its flirtations with cybernetics. But it is only recently that the we see a curious methodological convergence between these two fields as machine learning is starting to adopt methods of psychology. The interesting distinction between machine and human psychology is that we have a direct access to “brain” states of the network (inputs and activation of each neuron). With machine psychology, we are now shifting attention to their “mental” states, something that is accessible only with higher order, indirect methods. A first example of the convergence comes from the psychology of perception. Fig 1a: Example from Szegedy et al. 2013: Image on the left is correctly classified by a neural net as school bus. On the right side the imperceptably modified image is however classified as an ostrich. The middle panel shows the pixel difference of the two images magnified 10x. 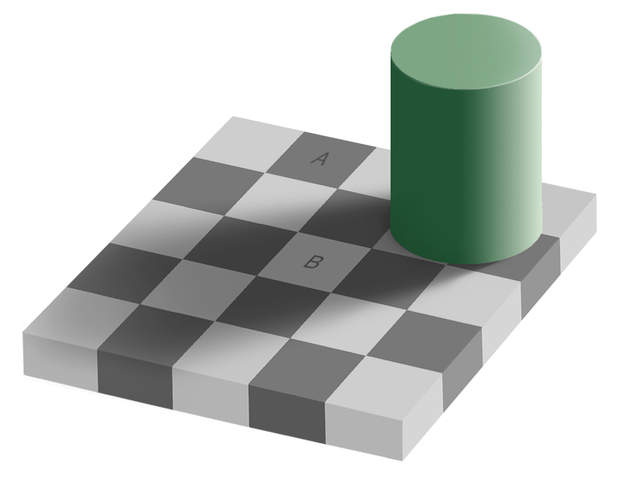 Fig 1b: Your visual cortex classifies the colors of fields A and B as distinct. They are the same. Nguyen et al. 2014, then turned this game around and used genetic algorithms to purposely evolve abstract images that well trained neural networks confound with real objects. Again examples for a DNN and human visual cortex below (Fig. 2a and 2b). 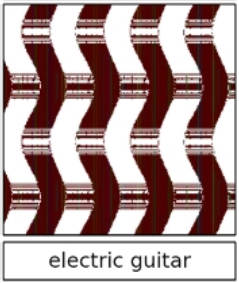 Fig 2a: Image evolved so that a neural network miss-classifies it as a guitar. 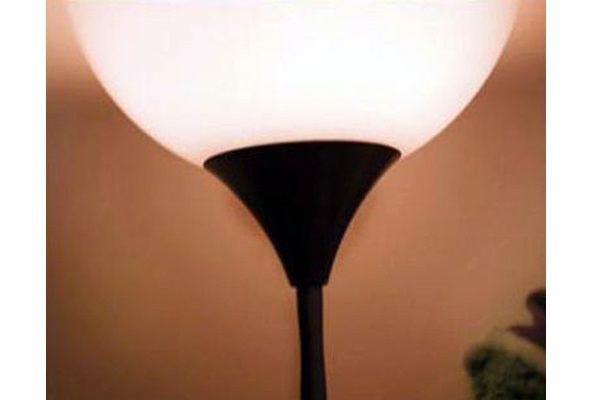 Fig 2b: An image of a lamp miss-classified by your dirty, dirty mind. Gestalt psychology for hierarchical feature extraction? These confounding attacks on classifiers are very important, since deep neural nets are being increasingly employed in the real world. Better understanding of machine perception is required to make the algorithms more robust to avoid fraud (some examples here). The reason why image classification works so well with deep architectures is the ability to automatically extract hierarchies of features from images. To make them more robust to attacks, requires an improvement in integration of these hierarchies into “global wholes”, well summarized by the mantra of gestalt psychology by Kurt Koffka, “The whole is other than the sum of the parts” (not “The whole is greater than the sum of its parts”). The cross-fertilization of machine learning by psychology doesn’t end with perception theory. Measurement of psychological traits are the bread-and-butter of psychometry and the crown jewel is of course intelligence testing. This is even more salient for the field of artificial intelligence. In an early example, Wang et al. 2015 made just recently headlines (e.g. here) by claiming to beat average Amazon Mechanical Turk performance on a verbal IQ test. Oddly enough, I haven’t yet found a reference using deep nets on Raven’s progressive matrices. This seems like a very obvious application for deep networks as Raven’s matrices are small, high-contrast images and successful solution requires extraction of multi-level hierarchies of features. I expect that DNNs should very soon blow humans out of water in this test. Raven’s matrices are the go to test for human intelligence with g-loading around 0.8 and virtually no cultural bias. Such an experiment would likely show, that the nets to achieve IQ 200+ in a very vivid illustration of the relationship between proxies for g and the actual “general intelligence” – the holy grail of artificial general intelligence (AGI) research. Here is then a nice summer project: put together a DNN for solving Raven’s matrices. I even recall a paper on machine generation of test examples so enough training data will not be a problem! Deep nets and Raven’s progressive matrices are made for each other. On a joking note – if there is machine psychology, could there be also machine psychotherapy? How could a venerable Freudian help his DNN clients? There are some very playful examples done with generative models (based on recurrent deep networks), e.g. text generation à la Shakespear/Graham/Wikipedia. A machine therapist will definitely be able to use their good old tools of word association games and automatic writing to diagnose whatever will be the digital equivalent of Oedipus complex of his machine patients. Did you again dream about electric sheep Mr. Android? Even the good old cliché of dream interpretation can be brought out of retirement. One of the areas that I’ve been looking at recently is machine dreaming, the question whether AI systems are already dreaming. There’s little question that they meet our criteria for what a dream is, they meet all our definitional criteria. There’s better evidence really that machines, AI systems, are dreaming, than there is that animals are dreaming that are not human. — Associate Professor of Psychology, James Pagel on the “All in the Mind” podcast. The excellent paper by Google researchers, Inceptionism: Going Deeper into Neural Networks, shows beautiful demonstrations of DNN fantasies, dreams and pareidolia. The psychology of digital psychedelic experience is close too. What deep neural nets dream about actually. This section is of course tongue in cheek, but its aim is to illustrate, that already now, the state-of-the-art DNNs can achieve very rich “mental” states. Sidenote: speaking of machine therapy, the other way around, i.e. machines being therapist to humans, is a promising researched field. Indeed they seem to come a long way since the command line therapist and the `M-x doctor` (for the Emacs fans out there). Machine ethology. Machine sociology. Machine etiquette. Machine politics. Machines are already talking to each other a great deal: think of the internet, communication networks, or the budding world of internet of things. For now, the conversation is only between agents of low sophistication using simple, rigid protocols. We could perhaps already talk about machine ethology, maybe even nascent sociology. TCP/IP is an example of simple machine etiquette. But the real deal will come when the artificial agents get more sophisticated (i.e. DNNs) and their communication bandwidth increases. The final step is achieved, when the agents start to create mental self-models and also models of the other agents they are communicating with. The gates of social psychology, sociology and politics will be then pried wide open for our machine comrades. Future of hard science is soft science? Will your AI team soon have to hire a machine psychologist? Maybe so. It is fascinating, that the hardest of hard fields – mathematics/statistics/AI research/software engineering in the areas of AI converges on methods from soft science. Soft-sciences, mind you, not humanities. This entry was posted in Uncategorized and tagged AI, art, deep learning, machine learning, psychology by Robert. Bookmark the permalink. Great post! Read some of the other posts too, there’s a beautiful mind working here! Thank you Sat for your kind words!